Boeing’s new 777X flagship is due to enter service in 2020. This seems like tomorrow to the company’s manufacturing side as it prepares for assembly, but for the 777 sales team looking to fill the production line during the transition it could be an eternity. 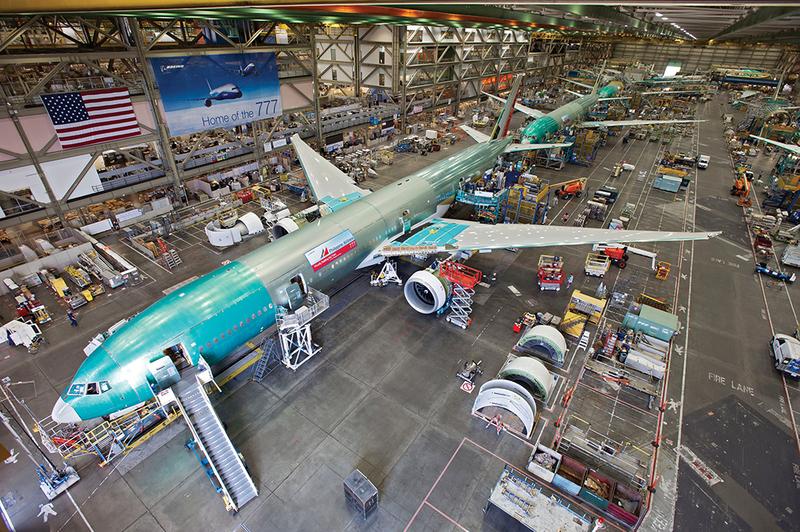 To smooth the move at the end of the decade from the current 777 family to the 777X, Boeing needs to drum up more sales to keep the Everett assembly line ticking at, or close to the current 8.3 aircraft per month. There are currently 278 777-300ER and 777-200LRFs in firm backlog, representing just under three-years worth of production at current rate. To help bridge the gap to the 777X, Boeing plans to inject additional life into the -200LR/-300ER by developing an upgrade package that will reduce fuel burn by 2% from 2016 onward. Boeing plans to reveal full details of the upgrade in mid-March. General Electric, which is the exclusive supplier to the 777-300ER and the 777-LRF with the GE90-115B, expects to start initial tests of the engine-improvement element by the end of the year. ”We are targeting about a 0.5% specific fuel consumption improvement in the engine,” says Bill Millhaem, general manager of the GE90 program. The most significant single change in the engine upgrade is an improvement to the active clearance control system which cools the casing of the high-pressure turbine section, helping to minimize clearances between the tips of blades and shroud during cruise. Construction on the Airbus Final Assembly line in Mobile,Alabama is moving forward and is on track to deliver its first A321 aircraft to jetBlue Airways in”late spring-early summer 2016” an Airbus spokesperson at Hamburg Finkenwerder Airport said. 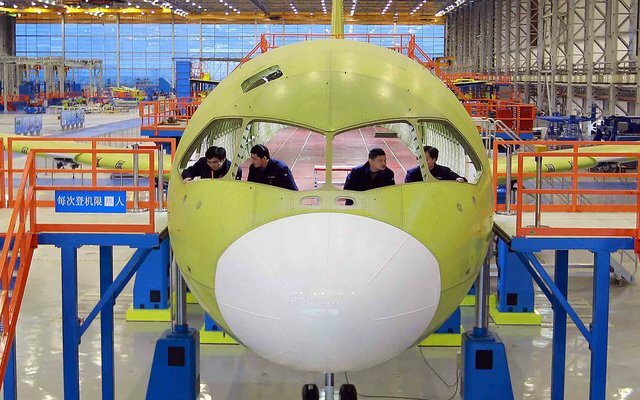 Airbus started construction in 2013 on the&600 million US facility,where it plans to begin assembling narrowbodies this year for deliveries in 2016.The Mobile assembly will be one of four Airbus A320 assembly lines,in addition to Hamburg,Tianjin and Toulouse. 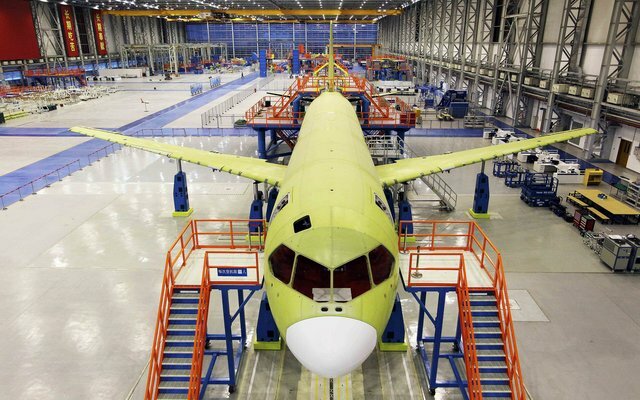 Airbus expects to assemble four aircraft per month by 2018. “We will start producing the first Airbus A321 variant in Mobile because there is demand for the Boeing 757 replacement ,especially in North America,the Spokesman said,adding the Mobile FAL will build the A32ceo.”Later on,from 2017 and when full production starts in 2018 we will deliver the A321neo,” he said. 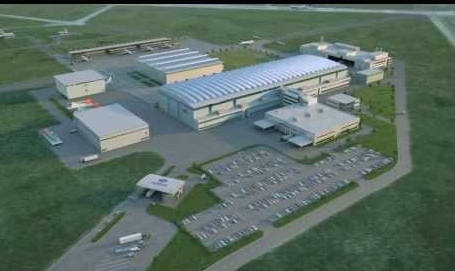 Airbus will also build the smaller variant of the A320 in the US facility in the future,the Spokesman added. 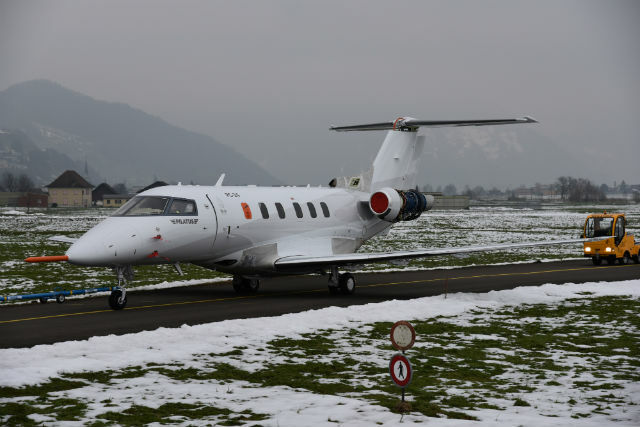 Swiss airframer Pilatus is progressing towards the maiden flight of its new PC-24, the first business jet it has ever produced, with a prototype aircraft photographed performing ground runs at the company’s Stans facility on February 18th. First flight of the Williams International FJ44-4A powered type is scheduled for May of this year, ushering in a two-year long certification campaign using three flight test aircraft. Dubbed a “super versatile jet” by the manufacturer thanks to its proposed short runway performance, the PC-24 has already racked up over 80 sales, having sold out the first three years of production of the $9 million aircraft. The next available production slot is in late 2019. Air Lease’s chief believes Boeing is leaning towards a brand new Boeing 757 replacement with additional capabilities rather than a re-engined version of the type. In January, ALC became the launch customer for the long range version of the Airbus A321neo with a 97 ton maximum take-off weight. First deliveries are planned for 2019. However, Udvar-Hazy does not see the new long-range Airbus as a surrogate for the 757. ”I would not characterize the A321LR as a true 100% 757 replacement, but it does accommodate a significant portion of the 757 flying done by US and foreign carriers,” he says. 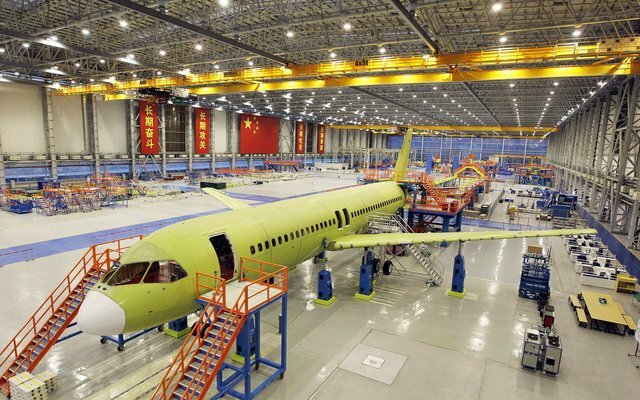 Final assembly work on the Comac C919 has kicked into high gear, with assembly of the first prototype airframe almost complete. Pictures released to Flightglobal show an almost complete airframe joined from nose through to the tail. Wing-to-body join also has been done, with vertical and horizontal stabilizers already attached to the aircraft tail. 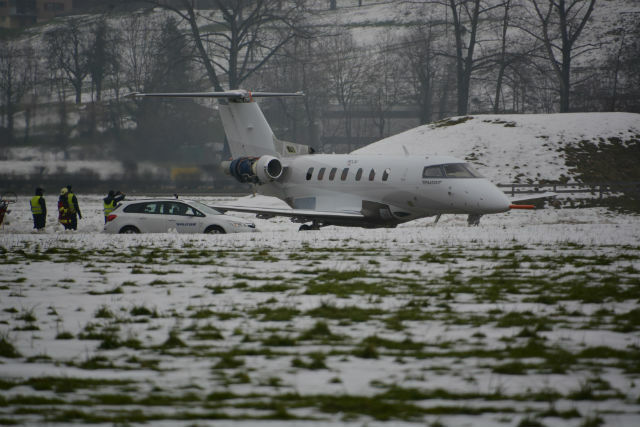 The aircraft is still resting on struts, although the main landing gear and forward gear appear to have been installed. 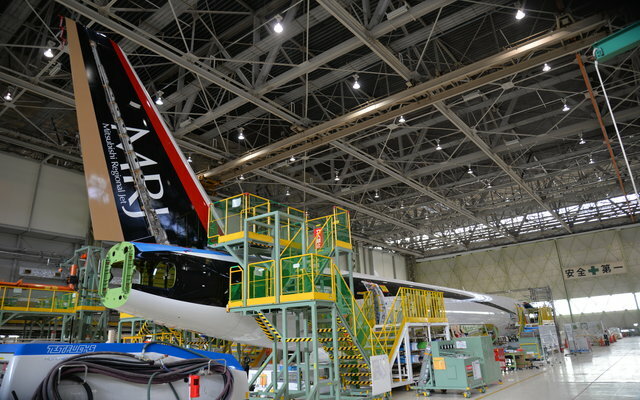 The aircraft’s wingtip devices have also yet to be installed. 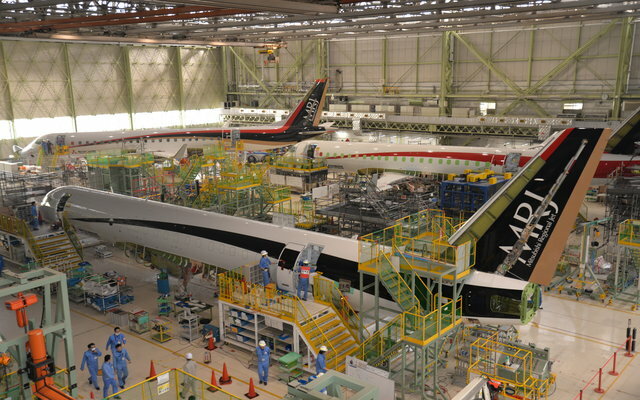 No other aircraft are pictured in the final assembly center area. Comac spokesman tells Flightglobal that no systems have been installed on the aircraft. He adds however that major works such as the installation of the avionics, flight control and hydraulics systems still remain to be done. The various systems also have to be integrated and tested. 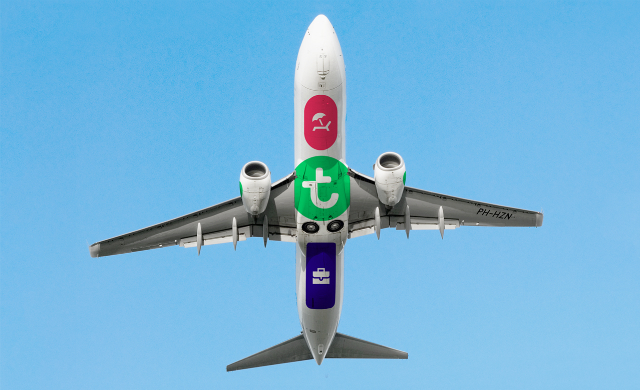 Tyrolean Airways’ maintenance arm Tyrolean Technik was re-established as a separate company, effective March 1, as a result of the reorganization of Austrian Airlines Group. 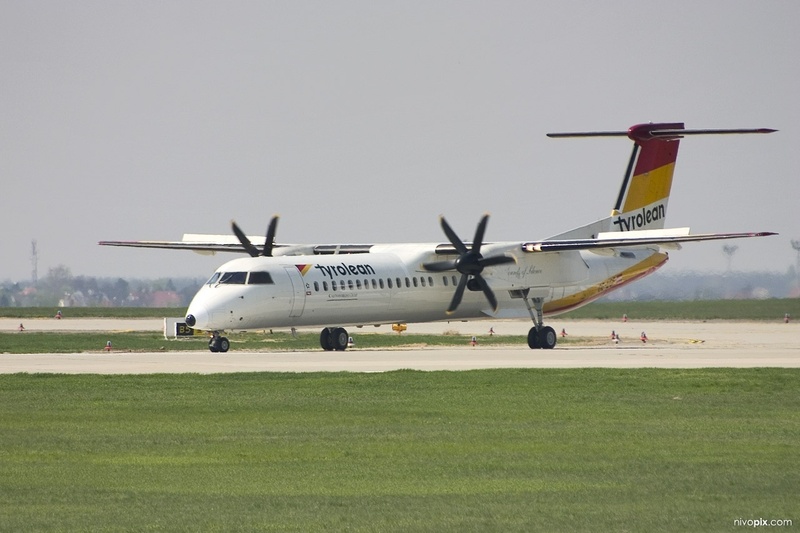 It is currently a fully owned subsidiary of Tyrolean Airways and specializes in the maintenance of Bombardier Dash 8 aircraft. Approximately 120 technicians are working at the Innsbruck facility. The integration of Tyrolean Airways and Austrian Airlines will take place April 1 when Tyrolean Technik becomes a fully owned subsidiary of Austrian Airlines. Tyrolean Technik is responsible for the maintenance and repair work performed on 18 Austrian Airlines” Dash 8 Q400 turboprops; It hopes to further expand its third-party operations, which currently stands at 40% of the business. “Tyrolean Technik is a regional company with an international reputation and recognition. We want to further expand upon this,” MD Bernd Meyer said in a statement. Tyrolean Technik carries out Dash 8 base maintenance at the Innsbruck site, including A and C checks, as well as other maintenance, including replacing landing gear and related components, and engine, propellers and engine components. 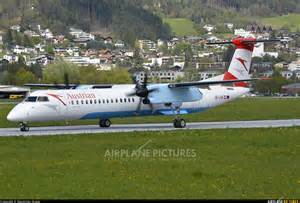 Austrian Airlines, a 100% Lufthansa subsidiary, is the only Dash 8 Q400 operator within the Lufthansa Group. Jetstar is due to go to an all 787 long haul fleet by September when the airline receives the delivery of three additional 787s. Air Austral has bought two of the early built 787-8s .The Indian Ocean carrier is planning to operate the 787s from Reunion to Bangkok and Mayotte to Paris. Elix Aviation Capital Limited based in Dublin has taken on three Bombardier Q400 NextGen aircraft previously ordered by an existing customer. The Qatari Amiri Flight took delivery of its new 747-8i Business Jet. Air Lease Corporation (ALC) has revealed plans to deliver eight new Boeing 777-300ERs on long term leases to six airlines during 2015 : Air France (1), Korean Air (2) , EVA Air (1), KLM (1) and Ethiopian (2). All eight aircraft are from ALC’s outstanding order book with Boeing that currently stands at 16 aircraft. Silk Way West confirmed an order for three 747-8 Freighters valued at $1.1 billion based on list prices. Thai Airways International Public Co.Ltd. has signed a 12 year ONPoint agreement for the maintenance, repair and overhaul of the airline’s GE90-115Bs on 14 Boeing 777-300ERs. AirBridge Cargo Russian freight operator is aiming to acquire another 747-8 F this year and introduce a 737-400 freighter. Bombardier has flown the larger variant of the CSeries for the first time. 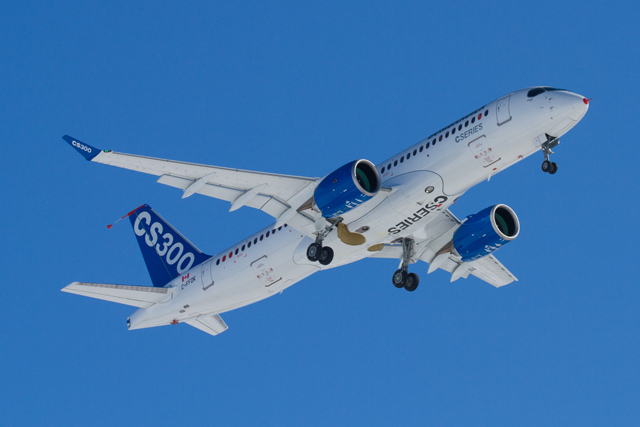 The second CS300 is in production at Bombardier’s final assembly facility in Mirabel and is set to come off the production line later this year. 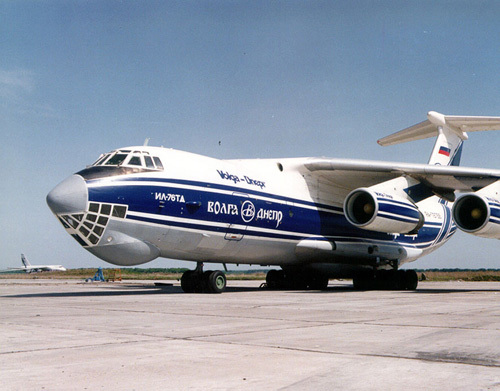 Volga-Dnepr engineers in Ulyanovsk, Russia, had to move quickly in late February in response to an urgent customer request. Their mission? to move 35 tons of pipeline, in 62-foot long sections from Scotland to Turkey. Huseyn Mammadi, logistics executive with Volga-Dnepr, said the engineers developed a load plan and built a multi-purpose shipping cradle to load the unwieldy pipes for the oil production industry. Manufacturing of the cradle was organized by a team at the U.K’s London Stansted Airport, while Volga-Dnepr’s engineering and logistics center arranged to rent cranes for the loading and a trailer to get the pipes to Prestwick Airport. Extra loading equipment was brought in from Leipzig, Germany. Despite strong winds in Prestwick on the day of the loading, the technical crew on the IL-76TD-90VD aircraft was able to build the loading assembly for the huge pipe on the trailer and in the aircraft, fixing the pipes in the cradle and lifting it into the cargo hold. The cargo arrived in Istanbul three days from the customer called. The equipment was delivered on behalf of DHL Global Forwarding to Istanbul’s Sabiha Gokeen International Airport for use in oil exploration on the Black Sea shelf in Turkey. Cargolux took delivery of their 30th 747, a 747-8 Freighter. 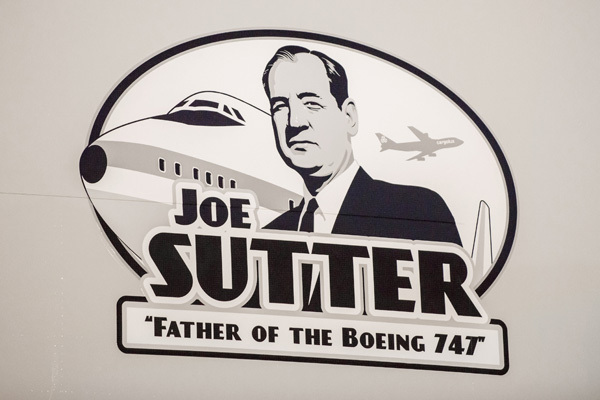 Marking the milestone with a tribute to the man who started it all Joe Sutter. Cargolux decked out their newest airplane with a special decal honoring Joe as the Father of the 747. The delivery took place from the Future of Flight Aviation Center with a dinner commemorating the occasion. Cargolux took delivery of the first 747-200 Freighter in the late 1970s and have been a loyal customer to this aircraft. 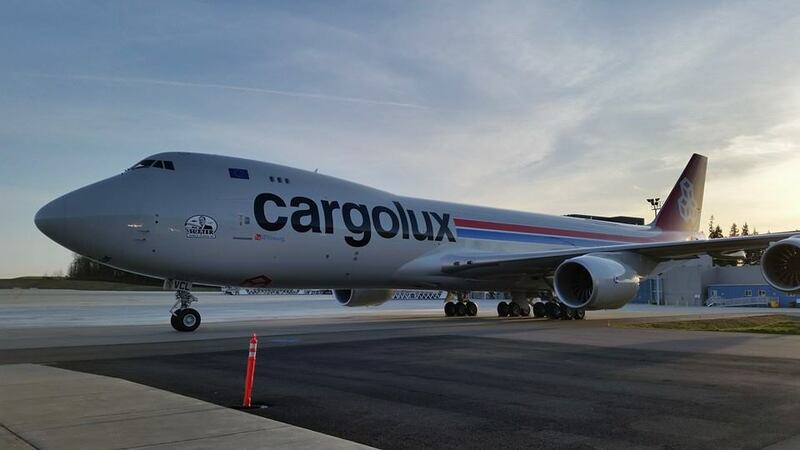 Cargolux was the launch customer for the -8 Freighter. 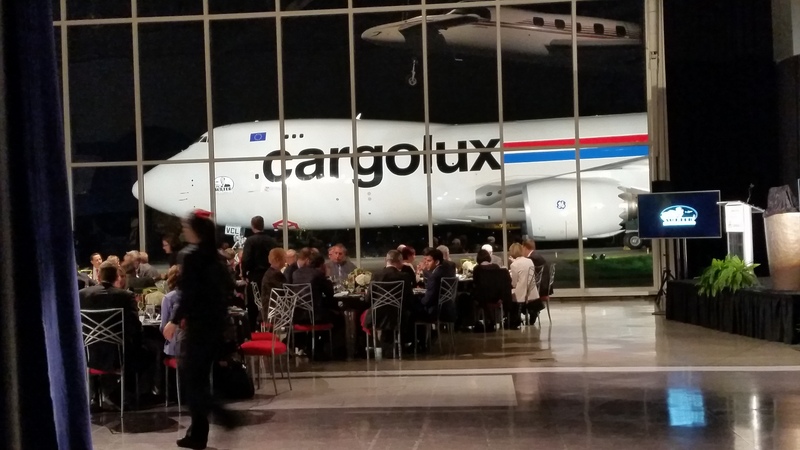 Cargolux serves 100 airports worldwide with the 747-8 Freighter from the hub of the airline in Luxembourg. 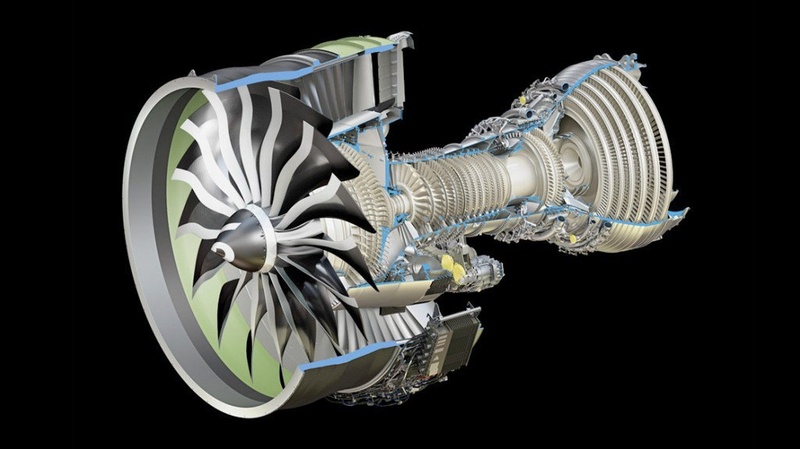 GE Aviation will shortly begin running a test engine equipped with a number of advanced-technology components that will feature on the GE9X powerplant destined for the Boeing 777X. The parts include combustor liners, high-pressure turbine shrouds and nozzles made from ceramic matrix composite (CMC), next generation high-pressure turbine blades, and titanium-aluminide low-pressure turbine blades produced via additive layer manufacturing. Set to get under way in the coming weeks at GE’s facility in Peebles, Ohio, the trials will be conducted using a GEnx test engine fitted with the new Parts. GE is already utilizing CMCs for the high-pressure turbine shroud on the CFM International LEAP engines in partnership with Snecma, but the GE9X dramatically expands their deployment. Meanwhile, tests will shortly commence on a second iteration of the compressor. These will be carried in Massa in Ital where GE has an oil and gas business and that is ready to fire up in the next week or so. The CMC components are around 25% lighter than their metallic equivalents, says Matt Szolwinski head of the GE9X program, and additionally able to withstand much higher temperatures without the need for cooling. First flight of the 105,000lb-thrust powerplant is scheduled for 2017 aboard GE’s 747-400 test aircraft. Certification should follow around a year later. 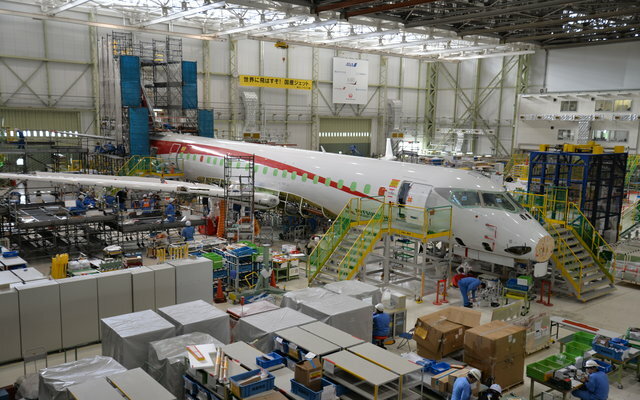 Aeroscopia is located adjacent to Toulouse-Blagnac Airport, putting it in proximity to Airbus’ home location-including the company’s headquarters and its A380, A350XWB, A330 and A320 Family final assembly lines. This enables visitors to look at Airbus’ current production activity while exploring aviation history at Aerscopia. The museum features a collection of iconic aircraft displayed in its exhibition hall and paved grounds, including an A300B the landmark widebody twin-engine jetliner that launched Airbus-a “Super Guppy” outsized transporter used by Airbus to carry aircraft components during the company’s early days, and an Aerospatiale-BAC Concorde supersonic passenger airliner. “Airbus’ contribution to Aeroscopia reflects the company’s great fondness for celebrating its roots and different phases of aircraft development and production over the years,” said Jacques Rocca, Airbus’ Deputy Head of Media Relations and Heritage, who also is a member of the museum’s technical committee. 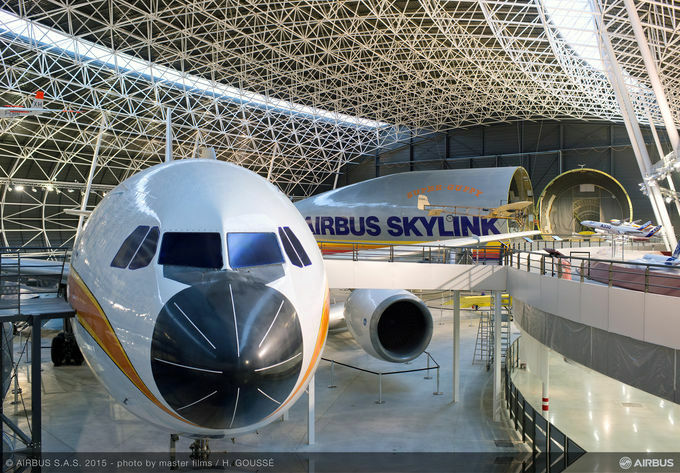 Manatour, the company that offers tours of Airbus’ final assembly lines in Toulouse, manages Aeroscopia as well, Rocca explained, proving an exciting “two-faceted” experience for aviation buffs- with all tours of Airbus’ Toulouse production facilities now starting at the museum. 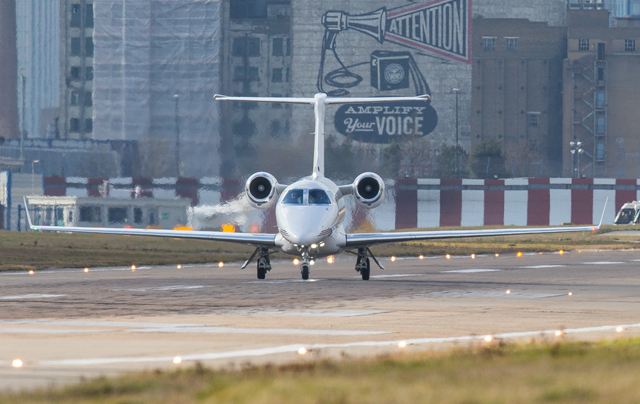 NetJets Europe has clinched approval from the UK Civil Aviation Authority to Operate its Embraer Phenom 300 light cabin business jet at London City airport, in the heart of the UK’s financial community. The Berkshire Hathaway-owned company is the largest operator at the site, responsible for over 50% of all business aircraft traffic. In 2014 alone, NetJET says it flew from City to over 370 destinations worldwide, with Paris Le Bourget one of the most popular routes. NetJets placed an order in 2010 for 125 Phenom 300s-including 60 firm orders as part of a $17.6 billion order. The Operator has taken delivery of 35 of the seven-seat twinjets, five of which are based in Europe. Delta is upgrading its fleet on the Los Angeles to San Francisco shuttle, one of the most competitive routes in the country, by replacing most of its regional jets with the Boeing 717, an aircraft that never quite caught on but seems well-suited to this particular market. In a sense, the 717s will be coming home to where they where originally built. Delta said it will introduce the 717s on eight of its 15 daily flights between California’s two biggest airports. The 717s were the last commercial airplanes produced at the Long Beach, California plant that Boeing acquired when it merged with McDonnell Douglas in 1997. Boeing made 156 of them, closing out with a 2006 delivery to AirTran, which became the biggest customer for the 100 seat aircraft. Delta announced in 2013 that it would take over the leases for AirTran’s 88 Boeing 717s from Southwest, which acquired AirTran but then decided it wanted to stick with a single fleet type, the 737. So far Delta has acquired 54 of the 717s. CFM International has begun flight tests of its new Leap-1A engine destined for the Airbus A320neo narrowbody, the GE Aviation-Snecma venture confirms. 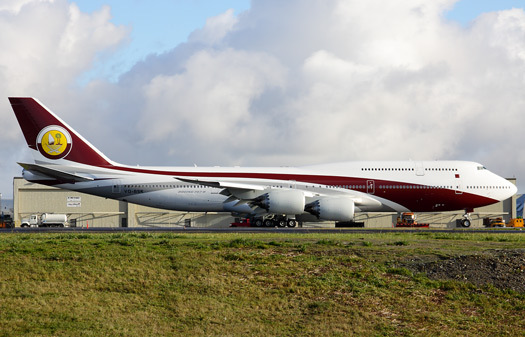 A modified Boeing 747-400 owned by GE is being used for trials of the 24,500-32,900-lb-thrust turbofan, which are taking place at Victorville, California. It is the second of the Leap-series engines to take to the skies, following the maiden flight of the-1C for the Comac C919 in October 2014. The -1B for the 737 Max will fly later this year, with assembly work on the initial flight -test engine under way at GE’s facility in Evendale, Ohio. Of the three Leap engines, the -1A and the -1C are broadly similar while the -1B is slightly smaller. The latter features a 69.5 in (176.5cm) fan with a 9.1 bypass ratio, against figures of 78 in and 11:1 for the -1 and-1C. So far, CFM has conducted engine runs totaling 1,940h across 3,360 cycles using all three engine variants. It aims to have achieved 40,000h by service entry of the Leap-1A next year and 60,000h by the time the-1C enters service in 2018. 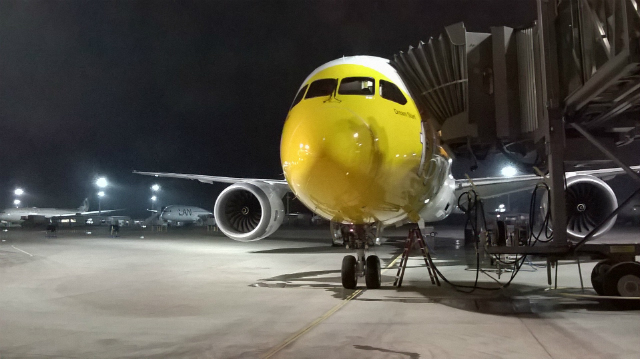 Singapore-based low-cost carrier Scoot has taken delivery of its first Boeing 787-9 during a ceremony held at Boeing’s delivery center in Everett. Scoot is a subsidiary of Singapore Airlines. The aircraft, registered as 9V-OJA and named “ Dream Start” (MSN 37112), departed Everett on January 31st, arriving in Singapore on the Morning of February 2nd. It entered commercial service on February 5th flying from Singapore to Perth and Hong Kong. Scoot’s 787-9s are configured with 375 seats, comprised of 340 economy-class seats and 35 premium seats. They are powered by Rolls-Royce Trent 1000 engines. 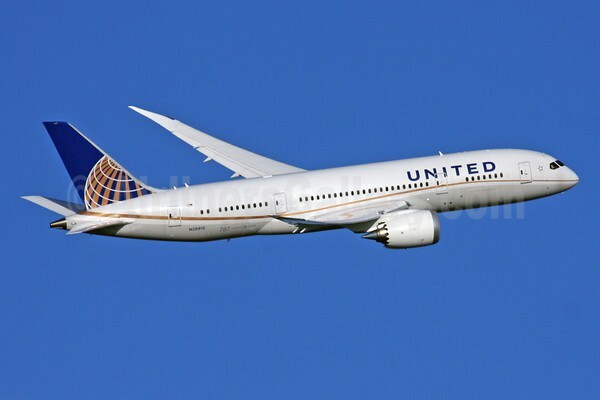 The airline plans to take delivery of six 787-9s by August, which will replace its fleet of six 777-200s. In addition, it will take three 787-8s by the end of the year, and plans to have an all 787 fleet of 11 aircraft by March 2016.Thereafter, the carrier will take delivery of two or three aircraft per year until early 2019, when it will have received all 20 on order. 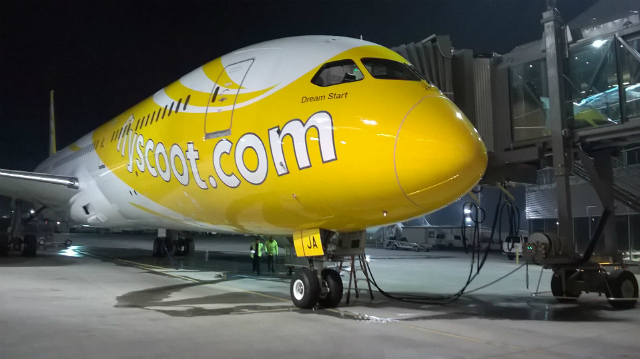 Scoot chief executive Campbell Wilson says that the new aircraft is a major benefit to the airline’s long term strategy. COMAC (Commercial Aircraft of China) has received an order for 20 C919s from Huaxia Financial Leasing company. Chorus Aviation Canadian regional carrier has placed a firm order for 13 Bombardier Q400 turboprops worth $424 million after signing an amended capacity purchase agreement with Air Canada. 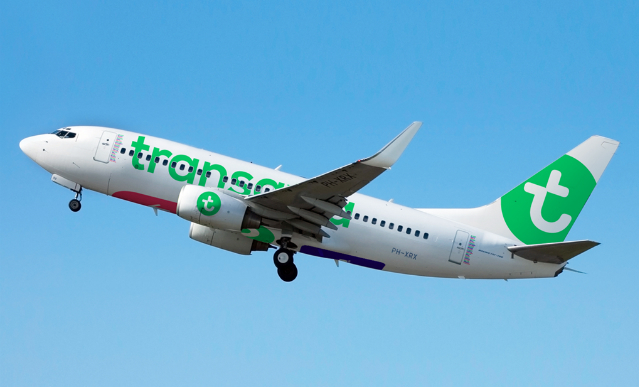 Transavia Air France-KLM Group’s low-cost operator ordered up to 20 Boeing 737-800s and revealed a new livery. Asiana Airlines has signed a letter of intent(LOI) with Airbus for the purchase of 25 A321neo single aisle aircraft as part of its ongoing fleet modernization program. Bombardier has completed flutter, cold weather and passenger-evacuation testing as CSeries flight tests pass the 900-hour mark enroute to the 2,400 hours required for certification. Korean Air has ordered five Boeing 777-200 LR Freighters in a deal worth $1.5 billion at List prices. Luxair to acquire more Q400s under a fleet renewal plan to increase capacity. Airbus has officially written off the order for the first, and so far only,VVIP 380. Saudi prince Alwaleed bin Talal bin Abdulaziz Alsaud placed the order in 2007. Greenpoint Technologies has delivered the first BBJ 747-8, thus becoming the first outfitter to hand over an executive version of Boeing’s newest four-engine widebody. 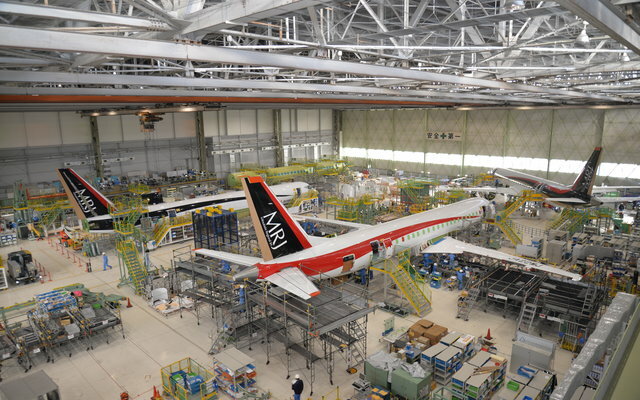 Mitsubishi Aircraft has released pictures of its flight test fleet in various stages of final assembly. On December 1st, 2014 All Nippon Airways (ANA) and Lufthansa Cargo launched their Europe/Asia joint venture with first flights from Japan to Europe. And with that deal under its belt, ANA has turned its focus to the trans-Pacific lane, signing a similar agreement with US-based United Airlines. 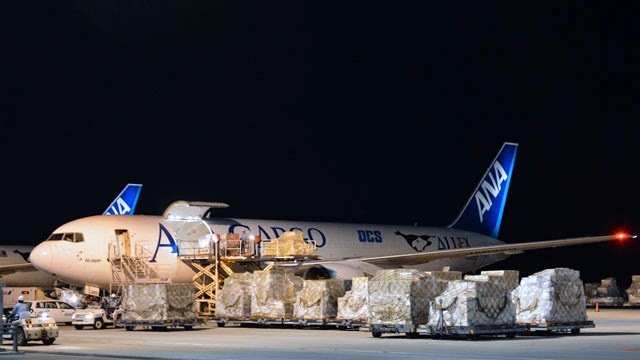 The two carriers have filed antitrust exemption applications with US and Japanese regulatory authorities for a set up similar to ANA’s Joint Venture with Lufthansa Cargo. Like Lufthansa and ANA, United is a member of the Star Alliance, and if the trans-Pacific venture gains regulatory approval it could start of a broader Star Cargo Alliance. It will be interesting to see what happens. In addition to a long-haul passenger fleet that includes fifty-four 777s and thirty-three 787s (with more on order), ANA operates ten 767-300Fs intra-Asia regional service. United does not operate freighters, but has a large fleet of wide body passenger aircraft, including seventy-four 777s and thirteen 787s (with more on order). Never let it be said that the airfreight industry will back down from a daunting humanitarian challenge. From any region of the globe, heroic cargo carriers can step up when needed to transport emergency medicines, shelters, fuel, personnel and … French fries? Well, it’s not exactly on par with the Berlin Airlift, but air cargo companies have helped the nation of Japan end a crippling McDonald’s French fry shortage that had ravaged the country’s super-sized appetite for three weeks. The shortage, which forced the 3,100 McDonald’s restaurants in Japan to ration its dwindling fry supply and offer only small-sized portions since mid-December, finally ended to thanks to an emergency shipment of about 2,600 tons of frozen French fries in late December 2014. According to a statement from McDonald’s Japan, the shortage arose from the ongoing slowdown due to labor dispute at seaports along the U.S. West Coast, which caused lengthy delays in the shipment of the restaurant chain’s signature side-dish in late 2014. 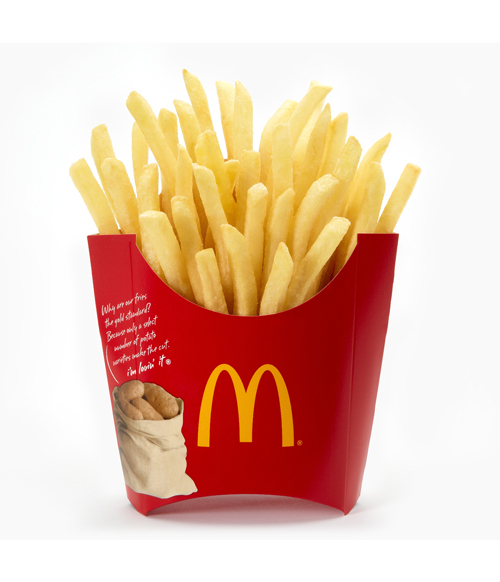 McDonald’s Japan also said about 1,000 tons of fries were sent via airfreight from East Coast ports and another 1,600 tons were shipped by seafreight. Beginning on Jan. 5, 2015, the small-size limit was removed at all locations and customers are again free to order large portions. No information was provided about which air cargo carriers were used in the “airlift” or how much the shortage has affected sales for the restaurant giant’s Japanese operations. While the island nation also grows some potatoes on its own, most of those are prepared and eaten fresh, the Associated Press reported. Most of the 300,000 short tons of French fries consumed each year in Japan are imported in pre-cut frozen form. While the restrictions have been lifted, McDonald’s Japan cautioned its customers that the emergency shipment may not be enough to meet demand. “We will continue to monitor the situation carefully to do our best to ensure stable supply of potato products,” the company added.